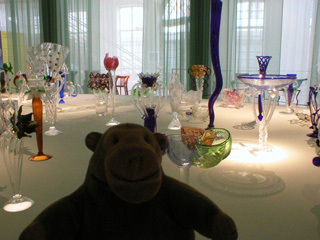 "They're colourful, but they don't look comfortable"
Mr Monkey scampered through the original De Coninck house, and into the modern part of the museum, which has been built in the backyard. The first exhibits he saw were in a special exhibition of work by Borek Sípek. 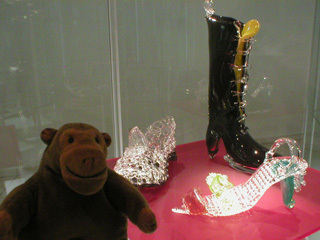 There were some chairs as well, but Mr Monkey was most interested in the glasswork. 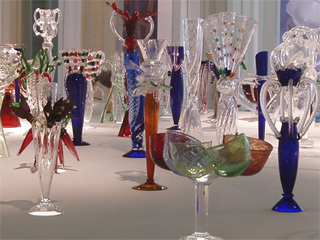 You can read about Sípek's work at the Borek Sípek website.